ECS (Elite Group) is a relatively new entrant in the PC components segments in India. They are manufacturing products like Motherboards, Tablet PCs, Laptops, Routers etc. They’ve recently launched their Motherboards with B and Z series. We’ve got the ECS B250H4-M8 with us and let’s check how it fares with its competition. 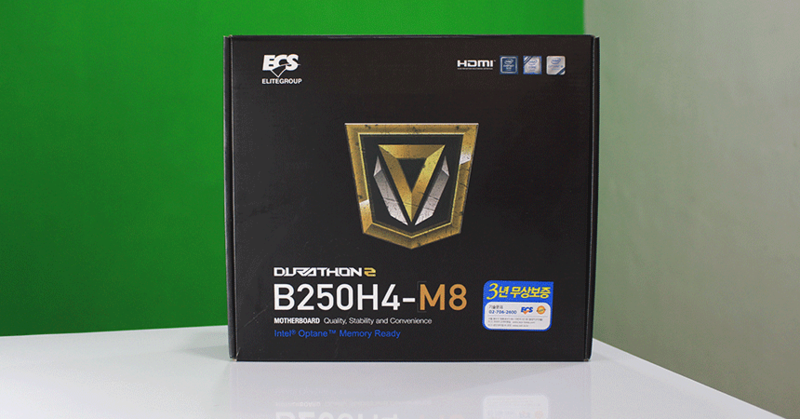 The ECS B250H4-M8 comes in a nice box with all the things in their perfect place. When you open the box, you see the motherboard and below the motherboard are the accessories and the manual. The B250 motherboards are quite smaller than their Z-series counterparts. It has a mATX Form Factor with the dimension of 244 x 210 mm. 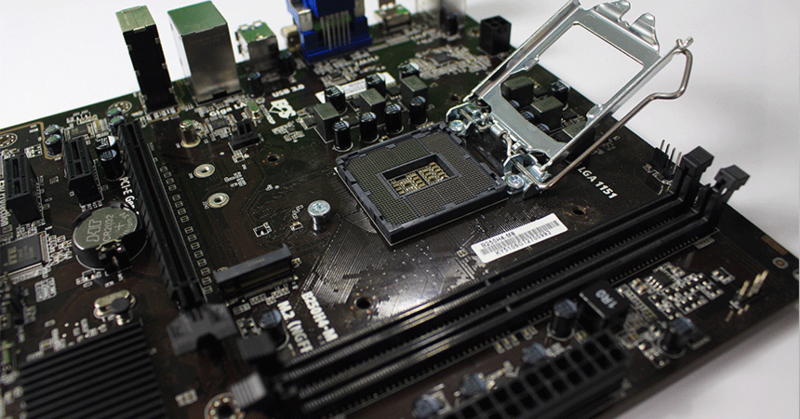 Copper is the dominant color of this motherboard with clear lines and good build quality. The B250H4-M8 does not come with RGB or any other kind of lighting. 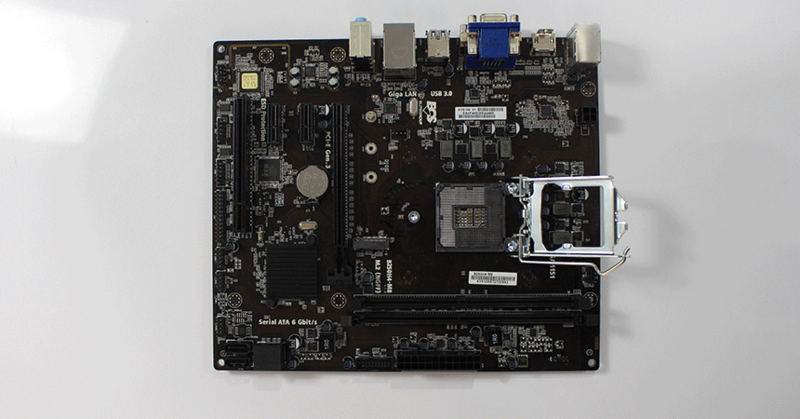 It is a basic motherboard that is aimed to fulfill all the basic requirements of the user. It comes with all the necessary accessories like stand-off’s, SATA cables etc. All the components are soldered heavily into the board which adds strength to the installed hardware parts. This increases the durability of the motherboard. The ECS B250H4-M8 features the Intel B250 Express Chipset which supports both the 6th as well as the latest 7th generation Intel processors. It supports DDR4 2400 MHz RAM but has only 2 RAM slots. Therefore, we are limited to the number of RAM cards we can install on this motherboard. It can support 2x16GB RAM cards with dual channel architecture that means a maximum of 32GB RAM will be available for you to use. It has a single PCI Express X16 Gen 3.0 slot and an M.2 slot for the SSD. It is also first of the motherboards to have the support for the Intel Optane Technology. For gaming enthusiasts, it does support DirectX12. You can add 2 Graphics Cards but it does not support SLI. 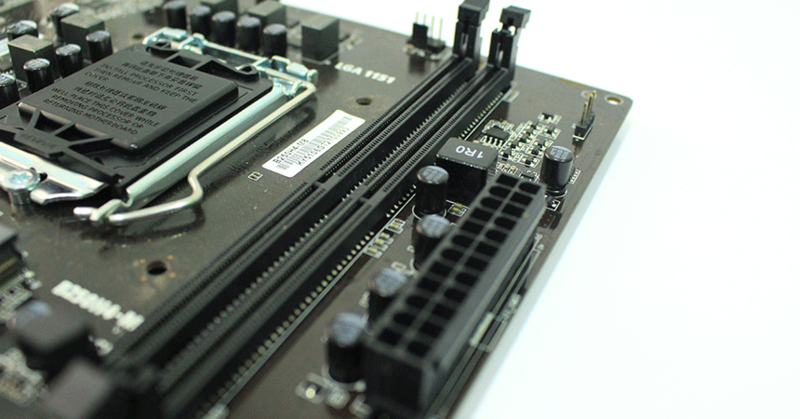 Therefore, if you are looking to build a high-end gaming PC then look for the Z-series motherboards that ECS offers. 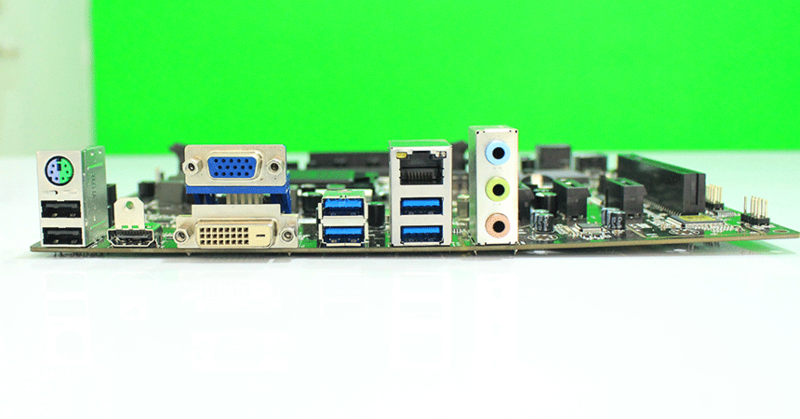 The B250H4-M8 has a total of 6 USB 3.0 ports, 6 USB 2.0 ports, and display ports like DVI-D, HDMI, and VGA. It also has the standard RJ45 LAN port along with audio and microphone inputs. The HDMI port can support 4K resolution, therefore, you won’t have trouble when you upgrade to a 4K monitor. The ECS B250H4-M8 is built on the Intel B250 Express Chipset which supports all the latest hardware configurations and also comes with extra hardware security layer. For testing, we used an Intel i5-7600K processor, Kingston HyperX Fury 4GB DDR4 2133 Mhz RAM, 6GB Nvidia GTX 1060 OC graphics card & Corsair VS550 Power Supply. 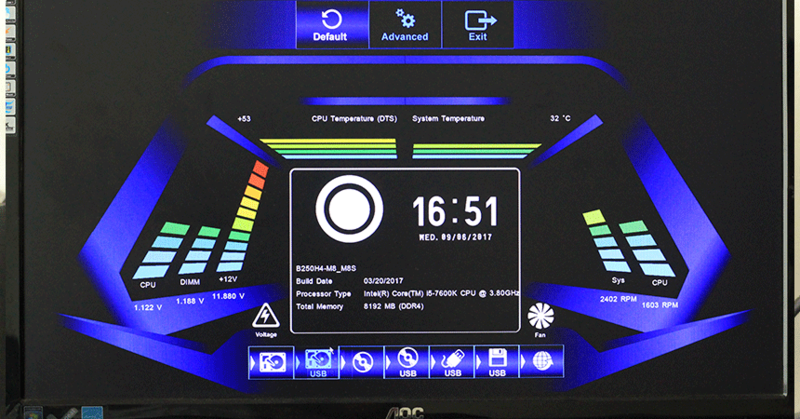 The BIOS looks like the dashboard of a race car that shows all the important details real-time. You can see that in the image below. It shows voltage, fan speed, and the temperature of CPU and System. It keeps on updating real-time. 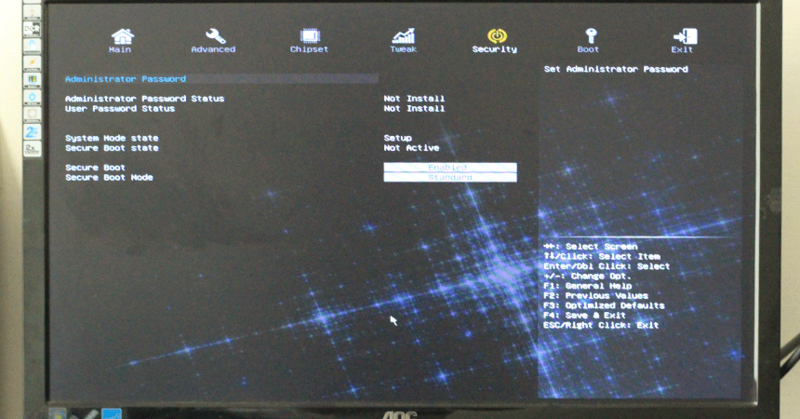 When you click on the “Advanced” tab above is when you get into the BIOS settings. All the settings are standard and easily accessible. You can use the mouse to scroll through the settings and make changes without much use of the keyboard. Like the B150 chipset, the B250 chipset also gets a hardware security layer and a productive suite designed for small business users who don’t have managed IT. This increases the security at the BIOS level. 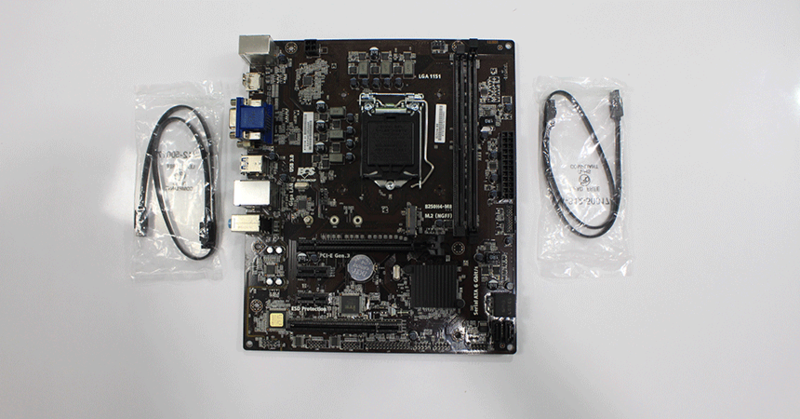 Therefore, if you are looking to buy a motherboard for office use then this is the best you get at such a low price. The ECS B250H4-M8 handled all the tasks that we threw at it. We did play some games out of which 1 or 2 were heavy titles and all of them ran smoothly without any issue. We also did some video editing and didn’t have any troubles whatsoever. This motherboard isn’t designed for things like these and yet it handled them very well. Therefore, performance will not be an issue. 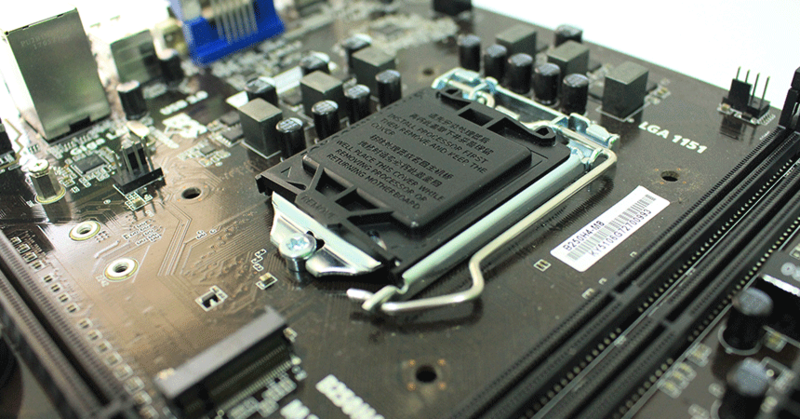 The ECS B250H4-M8 is a great and reliable motherboard for professional use. It supports all the latest hardware configurations that are available in the market right now. It is also one of the few that supports the new Intel Optane Technology. Therefore, even if in the future you decide to upgrade the hardware, this motherboard would be able to handle it with ease. Given that the Intel B250 Chipset is designed with extra security, you can rest assured that you will be well protected against malware and viruses that will try to attack your PC. 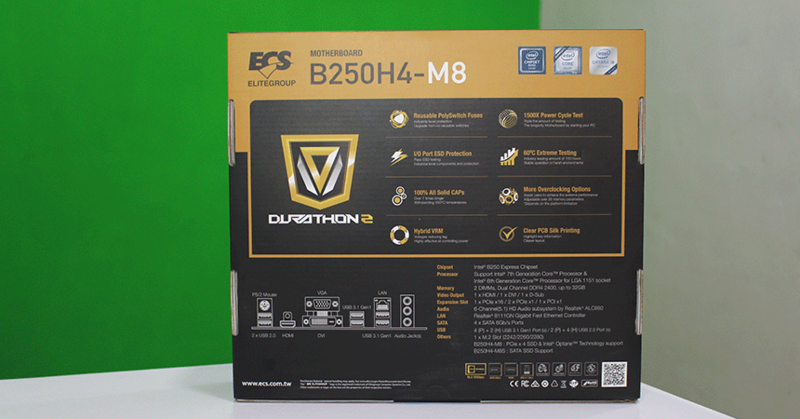 With good build quality and an understated and beautiful design at a reasonable price, the ECS B250H4-M8 motherboard would be a good value for your money.